The kids and I had never visited Hawaii, so this tour was a brilliant way for us to get out of downtown Honolulu, and see more of Oahu. We were collected in the morning by a Roberts Hawaii bus. Our driver “Cousin Ted” was a wealth of information and wit. He entertained our bus full of tourists all day with his facts about the Island as well as singing us traditional songs and tossing in the odd Dad joke now and then. He was just fabulous! A 200km narrated tour around the island of Oahu, stopping off at the most iconic must see’s on the island. 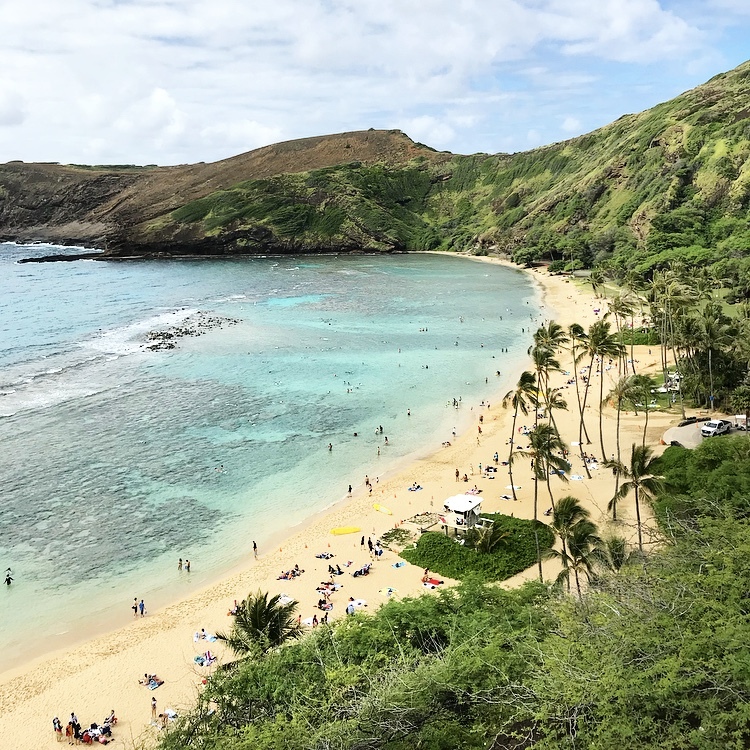 Hanauma Bay, Halona Blowhole, North Shore, tasting delicious ice cream at the Dole Pineapple Plantation, trying candied nuts from the Macadamia Farm and more. Delicious Pineapple Softserve! A must have! This tour was such a great way for us to discover parts of the island we’d have never known were there. A week later, we hired a car and went back to our favourite spots! !